Speak to us if you are planning full house re-carpeting. We offer generous discounts for supplying and fitting carpets or a mixture of floor coverings in different rooms. Our team consists of some of the best professional carpet fitters and expert vinyl floor layers (eg. Karndean) in the Northwest so you're in great hands for your full house carpet / flooring exercise. 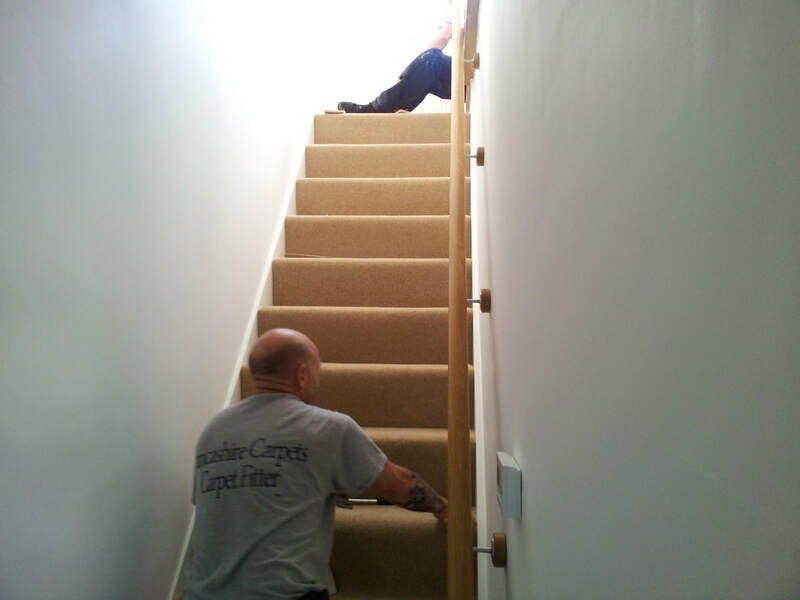 Generous discounts for full house carpeting jobs from Lancashire Carpets, Rossendale. If you need or would like your whole house re-carpeting or re-flooring you may be surprised at our Full House Carpeting / Flooring Discount Scheme; it's not as expensive as you might think. Whatever your re-flooring needs (carpet / vinyl / wood / carpet tiles etc. or a mixture of some or all of these), Lancashire Carpets have a strong reputation for providing the best flooring supply and fit prices in Lancashire.